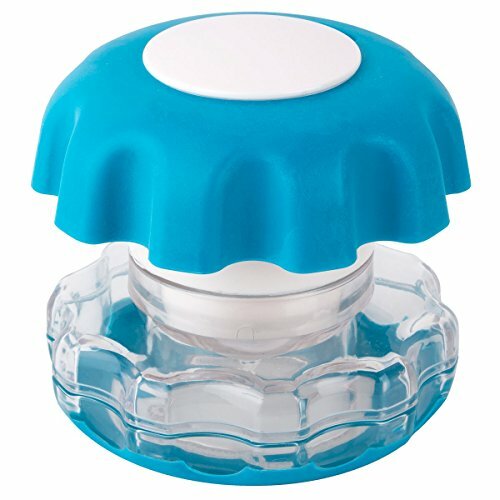 Ezy Dose Pill Crusher With Ergonomic Grip - Pill Crusher - This Medication Crusher Easily Crushes Pills So They Can Be Mixed with Food or Water. Not only does it crush medication with ease but it also includes a pill storage compartment . The main features of the Pill Crusher include:.Easily Crushes Medication - Crushes all tablets and pills Pill Storage Compartment - Storage compartment can hold multiple pills Ergonomic Grip - Allows for easy grip and operation, perfect for individuals with dexterity issues Multiple Colors - Pill crusher comes in assorted colors About Ezy Dose:Ezy Dose is the leader in easy-to-use medication management products. Many of our push-button pill planners are endorsed by the Arthritis Foundation for our ease-of-use design. Ezy Dose products make living healthier simply easier with products like pill cutters, pill crushers and a full line of easy-fill planners..